We are over the hump and still going strong for South Florida Beer Week! Come out and celebrate South Florida Beer Week with us! Steady chugging along (train reference, get your head out of the gutter) for South Florida Beer Week, and it’s only mid-week! If Tuesday wasn’t enough for you, then maybe we can be of a little assistance. Come out and celebrate South Florida Beer Week with us, and don’t forget to tag @SouthFloridaBeerWeek to show everyone what they are missing. Swing by Due South Brewing to enjoy your favorite Girl Scout cookies paired with excellent locally crafted beer. Starting at 5:00pm, come help support Troop 20177 and join us for a sweeter version of #SFBW2017. It's also In The Bizz Happy Hour. Work for a distributor, brewery, bar, or restaurant? Fresh from St. Petersburg, Green Bench Brewing Co. is hosting their Foeder Beer Event with the Brewhouse Gallery in Lake Park, FL. Starting at 6:00pm, they will be featuring: Le blanc Belge, Saison de Noir (with plum), Bench Beer, Sunshine City, Postcard Pilsner, Palladium Porter and Saison de Ver (with cranberry). Looking to work those brain muscles? What? Trivia. Where? Saltwater Brewing. When? 7:00pm. Who? You. 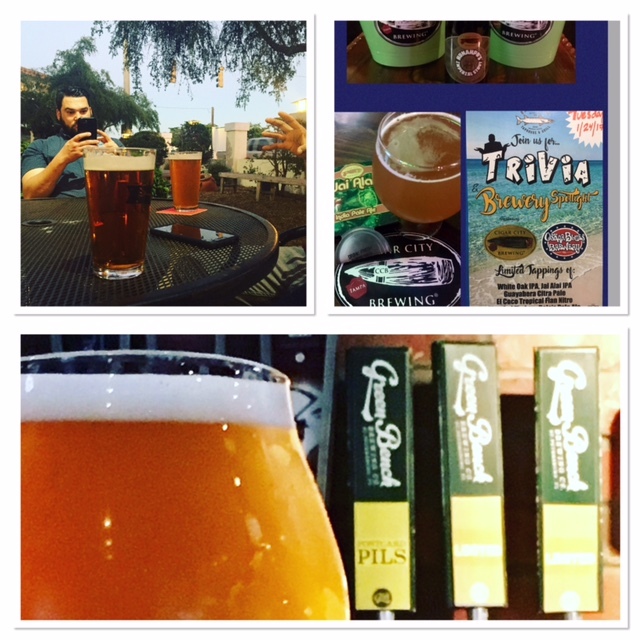 It's not just in Delray, want some Trivia in Broward? Bar Red Beard's got their Trivia as well. Geeks Who Drink hosts up this fun time! College Appreciation Night and Sausage Night at Barrel of Monks Brewing. 50% off with valid student ID, and Grace’s Fine Foods on sight. 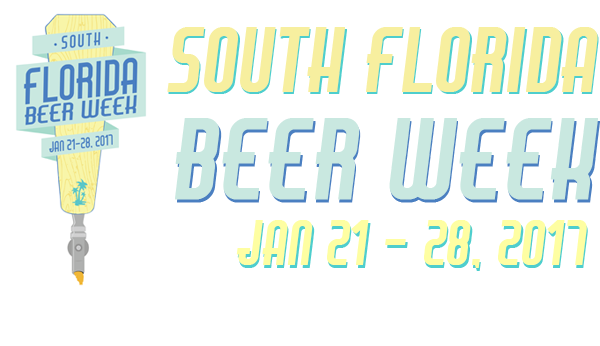 Remember to share your South Florida Beer Week memories with us #SFBW2017 and drink responsibly. We hope the local beer being poured around South Florida yesterday, cured your case of the Mondays. We enjoyed sharing a few beers with the fine beer folks of South Florida and are getting ready for another delicious night. So what's on the agenda? We've got some awesome beers being poured from Palm Beach County down to Miami Dade. Cigar City and Oskar Blues Tap Spotlight at Barracuda Taphouse and Grill in the Grove. $5 Burger Night (with purchase of a beer) at Bar Red Beard, in Fort Lauderdale. BOGO draft at Barrel of Monks... For you non-Publix shoppers, that means "Buy One, Get One Free"
We hope to see you out drinking beers, painting elephants...eating burgers. Remember to share any of your South Florida Beer Week memories with us #SFBW2017 and drink responsibly. Oh yeah, it's here. We know you've been waiting and now it's time to celebrate Florida's beer scene with, you guessed it, BEER! We're confident you may have already gotten a taste over the weekend at Mariana Trench Day or one of the many of the specials out there in honor of #SFBW2017 but that was just a warm up. It's now time for us to get into the meat of the week. So what's planned for tonight? Well we've got a bunch on the docket. Firstly, if you haven't checked out our calendar of events on this page yet, please do. We also have a fancy one-page guide for the week to help you map out your path. So let's jump right into it.... To kick the week off in Broward we've got a Local Brewery Spotlight at The Original Fat Cats in Fort Lauderdale starting at Happy Hour (5pm) where a handful of brewery reps will be there to share some beers with you. Wynwood will also be offering up a wide variety of beers at Riverside Market South, so why not hit both? Are you in the biz? If so, Bar Red Beard has got their industry night tonight with some discounts for those of you who are used to being on the other side of the tap (no worries if you're not in the industry, you're welcome too). Want to flex that brain muscle tonight, while challenging your liver? 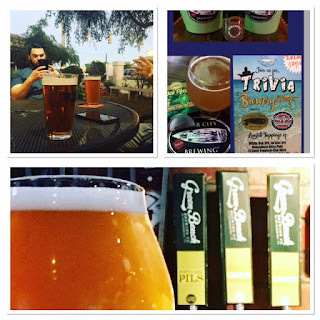 Funky Buddha has their live trivia at 7pm. If you're a little further North and feeling a little dirty, Clean up at The Blind Monk who will be hosting a Beer Soap Workshop. Saltwater Brewery will be hosting their In the Biz night too. For you Miami-Daders, Cigar City is hosting a Tap Takeover at The Butcher Shop which will surely be filled with some amazing beers and meaty goodness. If you're up in the Treasure Coast, we've got something for you too. 121 Tapas on the Water will be hosting a Holy Mackerel Beer Dinner at 6pm. There's still room. Don't forget to check out the long list of week-long festivities which may be going on in your backyard too. There's a lot to do and a lot of beer to drink so please stay safe and drink responsibly. We hope to see you out this week toasting Florida's Craft Beer Scene!